Arriving July 14, 2017 at D23! 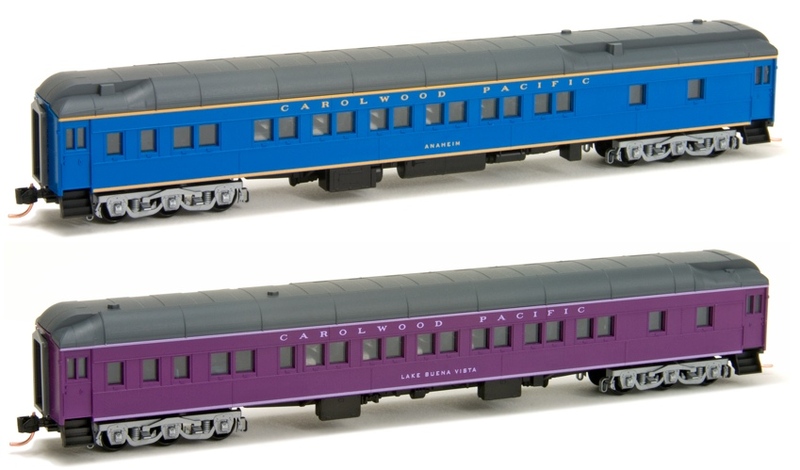 This is the first pair of cars in the train set “World of Color”. 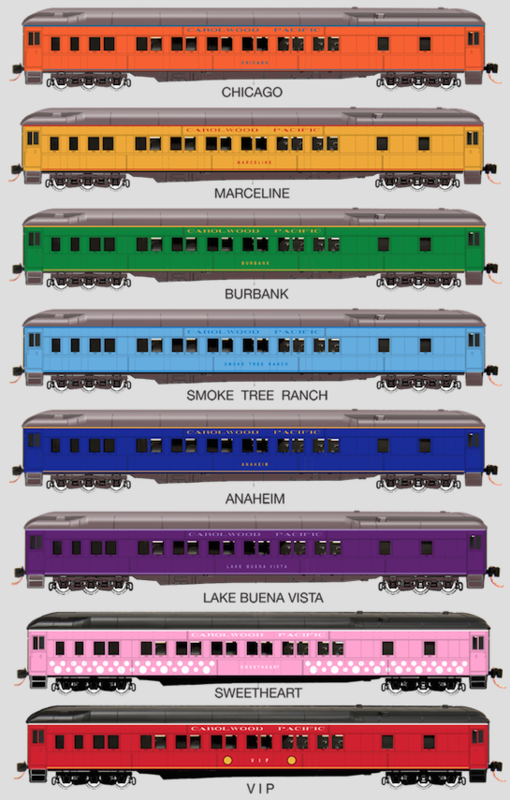 These cars are an artist’s view of what Walt Disney’s personal real train might have looked like. Each Carolwood Pacific car is named for a place that was important to him. 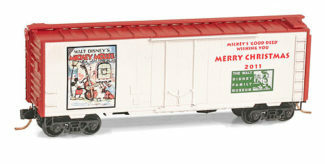 This classic train is meant be a brilliant symbol of the colorful artistry of Walt Disney. 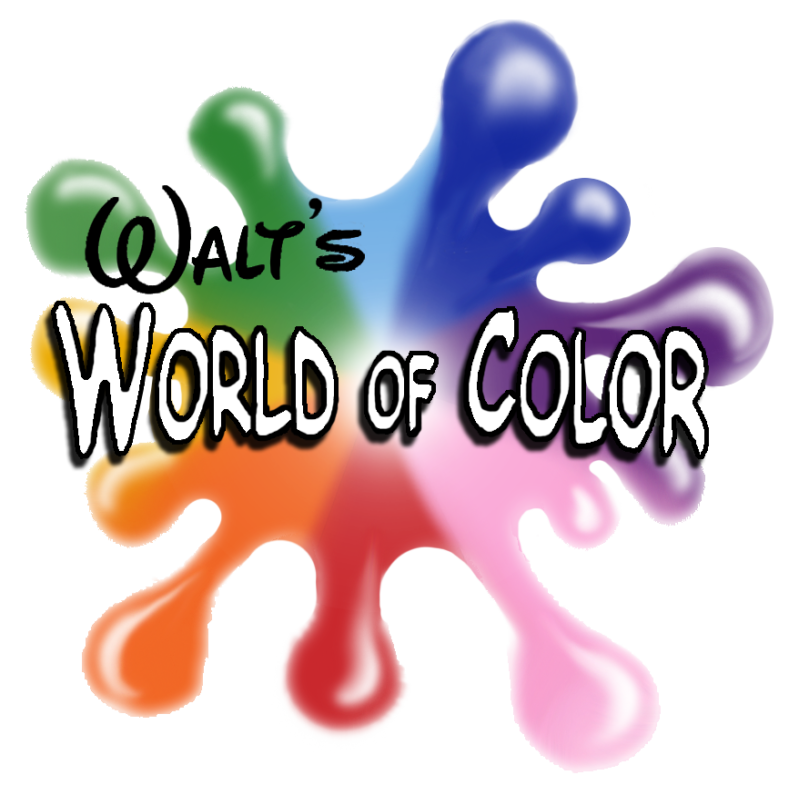 A portion of the proceeds of this series will benefit the Carolwood Foundation, operators of Walt’s Barn in Griffith Park California. This nine car set will also include a mural car and locomotive, all planned to be produced in the next 28 months. Set #1 cars are Anaheim and Lake Buena Vista.